If you have ever enjoyed a Aperol Spritz, you are familiar with the complex flavor of the Italian liqueur. Unfortunately, Aperol does not reveal their secret recipe, trust me I spent lots of time googling this. Anyone who has had an Aperol Spritz will tell you the initial flavors that come to mind are orange, grapefruit, bitter, herby, sweet, licorice… and so on. First, I tried making a rosemary and lavender simple syrup but in the end it ended up tasting too floral. I thought about what combination of herbs would work best to replicate the flavor of Aperol and it finally came to me, herb de provence! 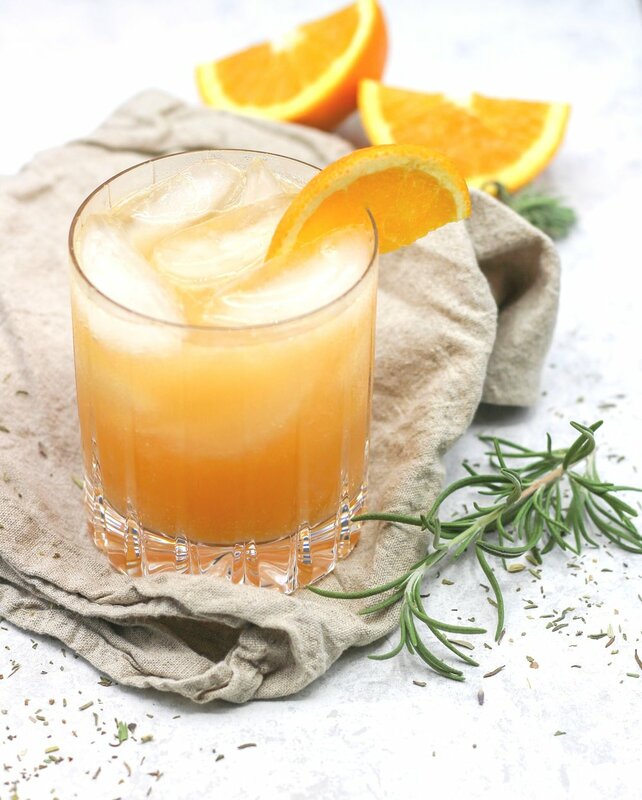 It’s the perfect combination of thyme, lavender, tarragon, rosemary, and a few others that captures all the notes of a true Aperol Spritz, but this time without the actual alcohol. Boil all ingredients together, let steep for 5 minutes and strain. Chill before use. In a 8-10 oz glass stir together the grapefruit juice, orange juice and the simple syrup. Add ice to fill the glass, top off with seltzer and garnish with an orange slice.